At Minibugs Nurseries, we are committed to providing outstanding childcare for our mini people. We have created amazing purpose-built nursery facilities and invested in the very best resources to create environments where children are free to explore and learn through a range of experiences and activities. Our happy and caring nurseries all come alive by the talents and dedication of our outstanding nursery team. We are on a journey to make Minibugs Nurseries the nursery of choice in our areas of operation and want enthusiastic, hardworking and skilled Nursery Practitioners to join our team and help us on this mission. Working for us means you are joining the Minibugs family. We know that it is the people who are caring for our children that make the difference. We value our staff’s views, provide opportunities to share best practice and ideas and continually invest in training and development. To be the best we need our people to be the best. We care about high standards and your personal development. Being part of the family means you will be supported to thrive as individuals. All our Practitioners are trained in the essential areas; Safeguarding level 1 and 2, Advanced Paediatric First Aid, Food Hygiene level 2, the Prevent Duty and FGM as part of their company induction. All staff are also provided with learning opportunities on the job through sharing of information and experiences from our internal coaches, management team and colleagues. We are all working towards the same goals and everybody has something to add. If you think you are the right fit to join the Minibugs family and want on-going investment in your CPD and access to career opportunities then we want to hear from you! We want something special from our Practitioners and are prepared to offer a highly competitive reward package, including; COMPETITIVE SALARIES, HUGELY DISCOUNTED CHILDCARE for your dependants and close family relatives, additional holidays for length of service, reward days for good performance, free uniform, volunteer days, pension and life insurance. As a growing company Minibugs Nurseries can offer extensive career development opportunities, as well as comprehensive mandatory training and additional CPD training to support your personal development. 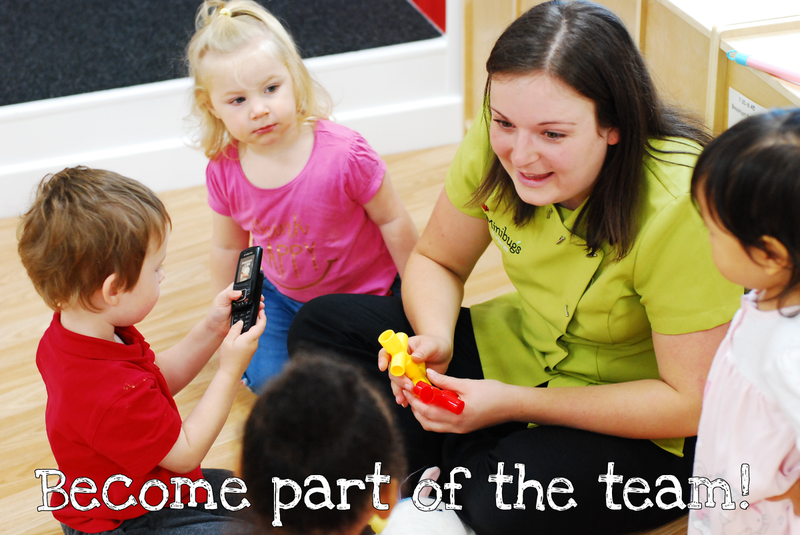 Take the next step in a valuable and rewarding career with Minibugs Nurseries. If there isn’t a specific role above, please download and complete our application form so we can keep your details on file.